and the Bride and Groom enjoy our fabulous Master Suite at a 10% savings. for the Master and one loft room! are welcomed with a $100 facilities charge. fabulous Master Suite at 20% off! and photographer here at no extra charge! 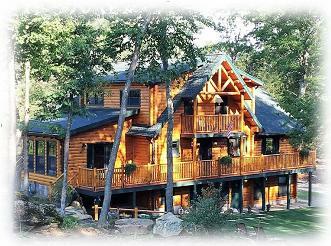 This is just $565.20 off-peak or $741.20 peak for all three rooms! Subject to room availability, no minimum stay, offer valid for entire duration of your visit. Wedding Packages not offered during the Brimfield Antiques Show weeks. Are you planning on getting married in the area? 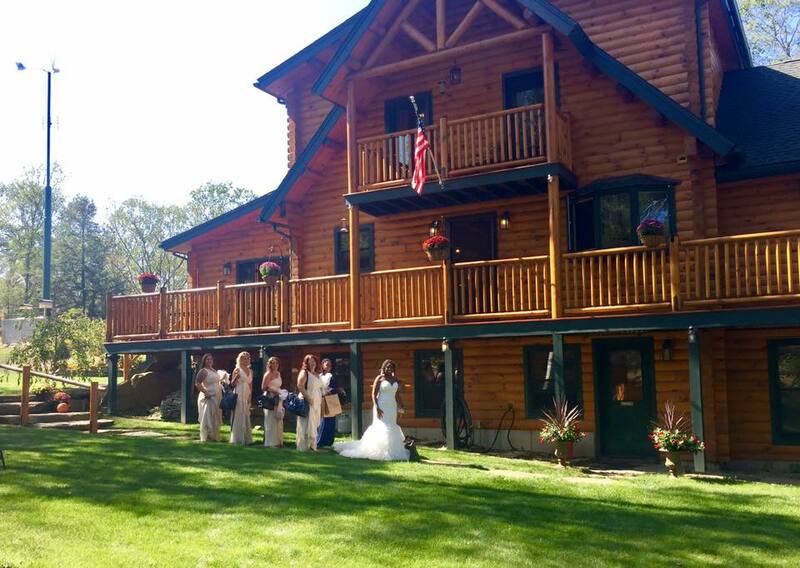 Our incredibly private B&B just might be the perfect place for the Bride and her Bridesmaids to spend the evening before the wedding! Arise to a gourmet breakfast and champagne before your hair and makeup artists arrive to get you ready for the big event! 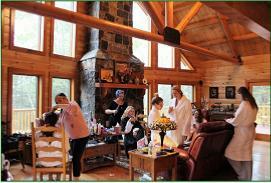 Our picturesque log home will provide your photographer a wonderful canvas to capture the morning's preparations! We have plenty of parking and room for the largest of limos! Our large open lawns provide options for family gatherings the day before as well! We make our facility available at no charge for hair, makeup and photography when you book all three of our guest rooms! Additional breakfast servings may be purchased for members of your wedding party that join you in the morning. 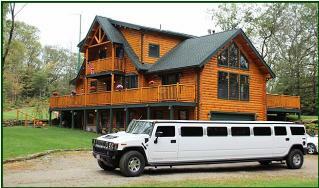 We are extremely flexible and happy to think outside of the box with you to make your experience simply perfect. for full details and tons of pictures! If your wedding is being held at the Salem Cross Inn, please see our Salem Cross Packages! and the Bride and Groom enjoy our fabulous Master Suite at 20% off! Additionally, have your hair & makeup artists and photographer here at no extra charge! please see our Salem Cross Packages! This is just $412.10 off-peak or $535.10 peak for the Master and one loft room! 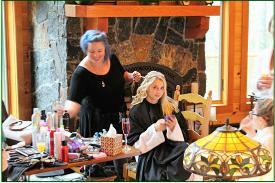 Hair & makeup artists along with photographer are welcomed with a $100 facilities charge.